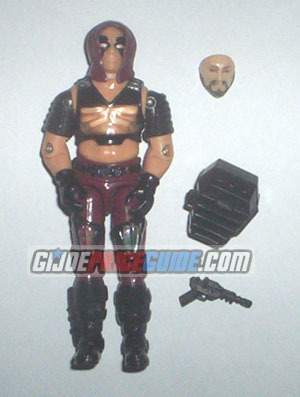 NOTES: Zartan's value will probably go up as time passes. Here are the reasons: He is a popular figure. He has two thigh pads and a chest piece that are often missing. When his O-ring breaks, it is very difficult to fix because his torso is glued together. 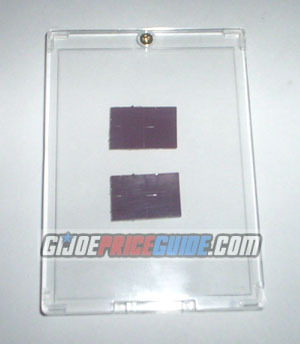 If you happen to find thigh and chest pieces that still have the Dreadnok leader's heat stickers attached, I would consider it a bonus. See a picture of unused heat stickers below.